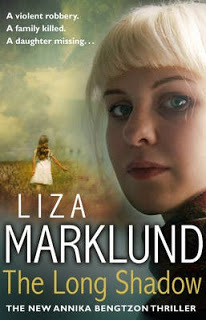 I received a review copy of Liza Marklund's The Long Shadow yesterday and was very pleased to see inside, reference to the fact that Last Will won the Petrona Award. Both titles are translated by Neil Smith. Work is quietly going on in the background regarding the 2014 Award with the judges reading the titles submitted so far. The list of potential entries for the 2014 Award can be found on this Petrona Award Eligibles post.